Built between 1688 and 1704 on foundations of a 12th century building whose chapel remained. 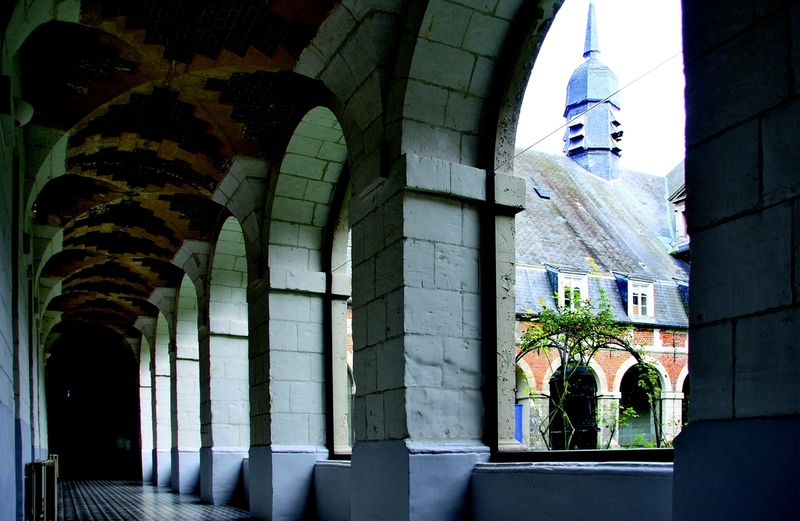 Remarkable brick and stone cloisters and chapel dedicated to Saint Nicolas, built 1717 to 1719. This chapel was enhanced during the 18th century with precious ornamentation, mostly in Baroque-rocaille style (pictures by Parrocel, wrought iron gates attributed to Le Vivarais), and completed in 1753 with a monumental altar adorned with statues sculpted by Pfaffenhoffen. A recreated sick room and 18th century apothecary help visitors understand the original purpose of the Hôtel-Dieu.